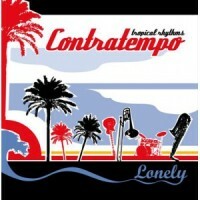 Coming from Castellon, Spain, Contratempo brings out the very definition of chilled out music. Formed at the beginning of 2004, the group hoped in making Jamaican music in line with its several variants and developments such as ska, reggae, and rocksteady. Listening to Lonely is like sitting back at your couch with the sun shining in your window and the cool breeze of the ocean passing by. It is very charismatic, catchy, and a dynamic reggae filled album with awesome vocals and lyrics that can stir your soul. Lonely has that smoky room, private detective feel that are very common to the 70�s era. It has the predominant ska beat compared to the other four. Rare Blues is more uptempoed as well as Like a Donkey. Down Down features outstanding reggae vocals with a leading catchy ska beat. And Skinhead Revolt mixes a tremendously likable melody with great instrumentation. Overall, you will love every minute of Lonely as it will make you feel like dancing or tapping your toe to the music.